Sanaipei Tande popularly known to many as Sanaa became a household name after she made Kwaheri by Juacali a monster hit in Kenya. 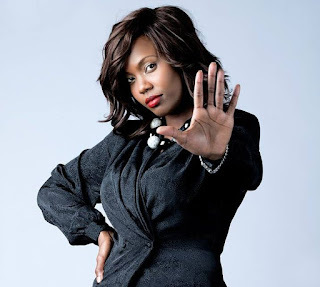 She is a former Kiss 100 radio presenter and she happened to be among the top talented sultry radio presenters that were unexpectedly axed by Nation Media Group recently, she was working at Nation FM. The sassy and classy hot mama is currently ruling the airwaves with her mega hit that goes like amekula huu na hasara juu……..
Below is a photo of the stunning and gorgeous Sanaipei Tande that Team Mafisi can’t get enough of. Don’t you like what you are seeing?